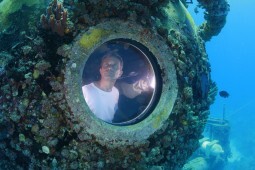 Fabien Cousteau in the Aquarius underwater lab. Living Underwater (starts 13:50): This segment continues our series, “The Ocean is Us,” exploring how we all, even in land-locked Colorado, are connected to the ocean, and what’s at stake. Co-host Susan Moran interviews Fabien Cousteau, grandson of Jacques-Yves Cousteau, the late oceanographic explorer who opened a window into the ocean for millions of people worldwide in the 1960s through his revolutionary scuba diving and underwater-living adventures. Fabien, an aquanaut, oceanographic explorer, and documentary filmmaker, discusses Mission 31, his recent 31-day underwater-living experiment (one day longer than Jacques-Yves’ expedition a half century ago). All features in the “The Ocean Is Us” series can be found here. Also, check out KGNU’s year-long series on Colorado water issues. It’s called Connecting the Drops. It’s at kgnu.org and yourwatercolorado.org. 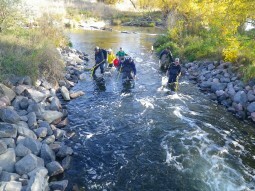 To learn more or become active in preserving our watershed and the oceans, go to Colorado Ocean Coalition. 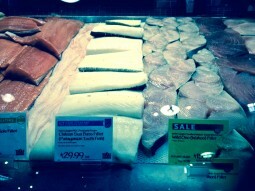 MSC-certified “Chilean sea bass” filets and other fish displayed at a Whole Foods market in Boulder, Colo. Sustainable Seafood: (start time 5:10) This is the fourth feature interview in The Ocean Is Us series, which explores how we in land-locked states are connected to the oceans and what’s at stake. Today we discuss sustainable seafood, which to some critics is an oxymoron, given that some 90% of large fish already have been wiped from the sea. To discuss prospects for feeding 9.6 billion people by mid-century, the developments in wild-caught fisheries and aquaculture, and the role of retailers and consumers, we have two guests. 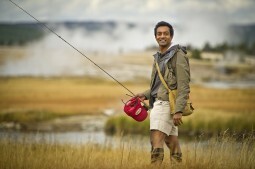 John Hocevar is a marine biologist who directs the Oceans Campaign at Greenpeace. Carrie Brownstein develops standards to guide seafood purchasing for the Whole Foods markets throughout the United States, Canada, and the U.K.
All features in The Ocean Is Us series can be found here. Also, check out KGNU’s year-long series on Colorado water issues. It’s called Connecting the Drops. It’s at kgnu.org and yourwatercolorado.org. To learn more or become active in preserving our watershed and the oceans, go to Colorado Ocean Coalition. Teens4Oceans (starts at 9:15): Today, we’re kicking off a series of interviews on the show called The Ocean Is Us. We’ll explore how all of us living in land-locked Colorado are connected to the ocean — whether it’s through our watershed that flows into the Gulf of Mexico, or the fish we buy at the grocery store, or the carbon dioxide we emit that acidifies the oceans. 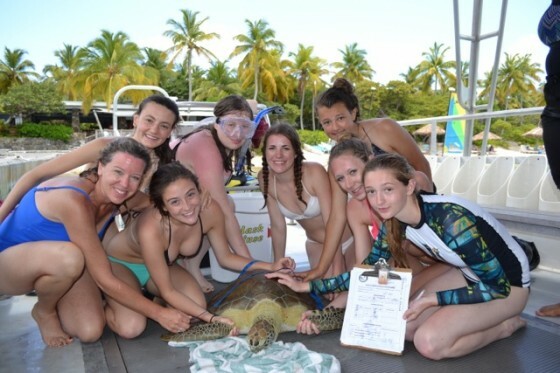 Teens4Oceans is a nonprofit organization based in Colorado that is inspiring teenagers nationwide to become passionate ocean lovers and scientists through experiential learning — doing real marine research in the field. How On Earth’s Susan Moran interviews Mikki McComb-Kobza, a marine biologist and executive director of Teens4Oceans, and Shelby Austin, who recently graduated from Ralston Valley High School in Arvada. For more information on our inland connection to the ocean and you can get involved, visit Colorado Ocean Coalition. 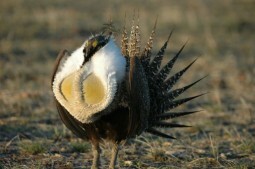 And check out KGNUs year-long series, called Connecting the Drops, on Colorado water issues, at kgnu.org and yourwatercolorado.org. 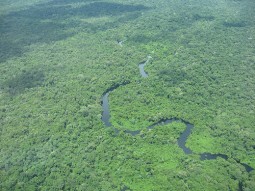 Amazon CO2 (start time 04:37) The Amazon basin contains the largest tropical rainforest on the planet. It’s been critical not only for its beauty and biodiversity but also for its ability to store more carbon dioxide than it emits. The soil and above-ground biomass of the Amazon makes it one of the largest reservoirs of carbon dioxide. And that has helped to keep climate change from accelerating even faster. But a new study shows that the Amazon’s tropical ecosystems may actually give off more CO2 into the atmosphere than they absorb. To learn what’s shifting in the Amazon basin and the implications of this shift, host Susan Moran speaks with one of the authors of the study. 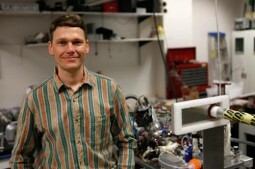 John Miller is a scientist with the National Oceanic and Atmospheric Administration in Boulder. Specifically, he’s with NOAA’s Cooperative Institute for Research in Environmental Sciences, which is at the University of Colorado. Power Plant Smokestacks (start time 14:43) To understand the global greenhouse gas budgets, it’s critical to characterize their sources and sinks. Electrical power generation accounts for about a third of all greenhouse gas emissions in the US. While the actual generation of power is only part of the entire production and use cycle of electricity, power generation stations are an important part of the budget. A definitive study of smokestack gases shows that power plant emissions in the US are down and that combined-cycle gas powered plants have much lower emissions than the coal plants they are replacing. How On Earth host Jim Pullen talks with the study’s lead author, Dr. Joost de Gouw. Joost is also with the Cooperative Institute for Research in Environmental Sciences at the University of Colorado in Boulder and also NOAA’s Earth System Research Laboratory (ESRL), Chemical Science Division. Feature #1 (start time TK): Once hadrazine, now green. Ball Aerospace’s Chris McLean, the Program Manager for the Green Propellent Fusion Mission, talks with co-host Jim Pullen about testing a much safer spacecraft fuel. Feature #2 (start time TK): The 100-year flood ravaging Colorado has shown us painfully clearly the power of water. We’re seeing how surging rainfall and overflowing streams can destroy homes, roads, indeed whole communities in their path. But what’s less visible is how extreme weather events like this one in the nation’s interior affect oceans in powerful ways. 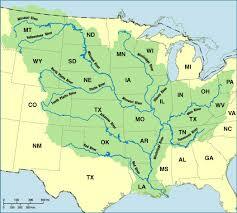 Our watersheds east of the Continental Divide carry water, and tons of nutrients, into the Mississippi River Basin. Rainfall, storm water, and fertilizer runoff from croplands and backyard lawns contribute to the humongous Dead Zone in the Gulf of Mexico. 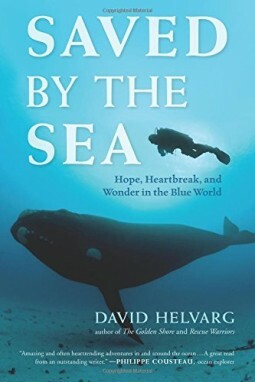 To discuss our inland connection to oceans Dr. David Guggenheim, a marine scientist and founder of the nonprofit Ocean Doctor, talks with co-host Susan Moran. Vicki Goldstein, founder of Colorado Ocean Coalition, also discusses the inland ocean movement, including the second annual Making Waves event this coming weekend.